About 10 minutes go by. Another 10 minutes go by. About 10 min later, I had a nice little Delrin riser that looked pretty damn similar to the bracket. Why did I tell you this story? Because I had a similar conversation with him one day about fasteners. (And about how I lost his torque wrench, which is another story altogether.) It pretty much followed the kind of information Mr. Graham provides in his Quora answer. I don’t remember much of it, but I *do* remember that it’s important that I think a little bit before selecting a fastener: How important is it that it holds? How is it stressed? Do I need to think deeper (or consult someone) about it, or is my solution good enough? Anyway, enjoy the read. At the moment the answer is the “first,” which means you can view it without a Quora account. If you happen to get there too late, I’d suggest just setting up a freebie account. Sure, you’ll see lots of weird stuff there, but every so often you come across a gem like this. If nothing else, Quora is way more entertaining than the latest political forward by your relatives. 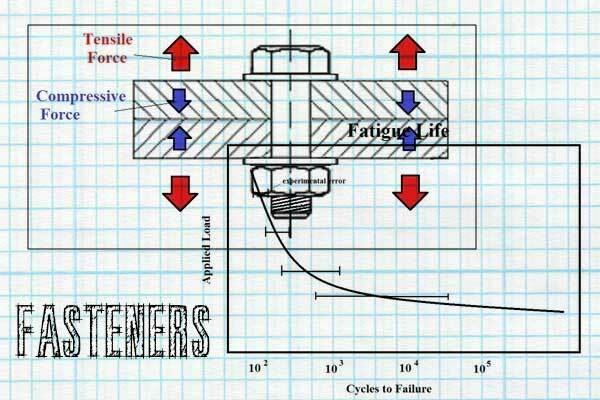 I ran across another site that goes into great detail on fastener science. After geeking-out on it for several hours, the first thing I did was throw-away all my split “lock” washers. They do nothing! P.S. As time allows, please clean up the spam that’s polluting the comments? Better yet, assign some moderators and guest editors, there’s still a community around here willing to help, whatever happened to the other editors anyway? We missed you guys! THANK YOU for coming back! I’m a big fan of Quora myself, lots of really great, carefully thought out content. Thanks for sharing the story. Oh, and remind me to start scheduling vacations like you guys! Good to see signs of life on the site again Chuck. Welcome back!! You were missed! You’re back! I was just thinking ‘I miss Toolmonger, I wonder if there are any other tool blogs out there’, and I did a search and there you were. Don’t ever leave me again! Even though it was less frequent, I still habitually checked the site every few weeks. Glad to see the post! I hope all is well. Just checking once again. And there you are! Welcome back and I hope you can post regularily. Glad to see you’re back. I am sure everyone wonders where you have been? i’ve always wondered how soft nylon was compared to plastic. lmao! Welcome Back! I’m glad I left my RSS feed running, what a nice surprise to see this pop up. Wow, perseverance pays off. Welcome back, hope this means more regular updates going forward. I think this was just a tease. It’s been well over a month since this post. hahahaha… Looks that way. The best part is that it was well over a year without a post, update, notification or anything. All this loyalty to the site and the guys behind it and not a lick of respect for the people that supported them. I felt bad giving them crap in the past for just disappearing without knowing the circumstances behind the sudden lack of content and information. Now that they threw something up without addressing the elephant in the room there is no excuse. They took the time to make this post but didn’t have the time to come up with a few sentences to apologize to all the toolmonger followers. Oh well the constant checking for updates, feedback and loyalty to this site is over for me. Mike, I second your statement…”All this loyalty to the site and the guys behind it and not a lick of respect for the people that supported them”. Makes me wonder if the post was scheduled through whatever blog engine the site uses (WordPress?) and the owners didn’t even realize it happened. I guess it’s time to wait another year. Only ~6 months to wait for the next post! Well, it’s been a year… still dead. I used to read this site daily…. YEARS AGO. I only read this website when i’m sitting on the crapper. Well I know that Chuck Cage is alive and well so for all those who were concerned that something bad happened to him or the others may not be the case. Found him on FB/linkedIn and a picture posted of him on FB by I assume his GF or someone. He just simply did not care enough to let us know that he moved on. Or he/they sold toolmonger and let it die? Thanks for posting this Mike. I had wondered if anything catastrophic had occurred. I do still wonder why nothing has ever been posted to explain the status of the site, but oh well. Still miss this site. It was nice to go somewhere and read good news. I never thought fastener science could be so interesting haha. Thanks Chuck! Just checking in to see if it was back to life yet. That was a real interesting read over at quora, also boltscience mentioned by the first poster has a ton of useful info. Yes, it’s the annual “Hey look, this website is still up” post! At least they’re paying to keep the domain and hosting services. Maybe they still have plans for a revival one day. Fingers crossed! Let’s hope it comes back someday. I am interested in the brass type with long shank used for electronics.. Please advise at your earliest convenience. I never thought fastener science but now I’m able to know details on it. Thanks your info. I don’t understand why it is disrespectful to only post every once in a while? Guys, just enjoy the great FREE content that is available…. The last post was three years ago, you spamming moron. Well, it’s the annual “Yup, still dead” post. I love DIY work so I have to work Fastening. I think your info make me more experience on fastening. Still checking back from time to time. I’m here October 28, 2017 and still waiting for updates. Yup, still dead. Too bad. Whew, I got a 403 error last time I checked – glad to see it’s back, as much as it’s been back for the last 3 1/2 years! Hmm, still dead. Oh well, maybe next year. Brushed away the cob webs to look inside. Still hoping for a return to posting.